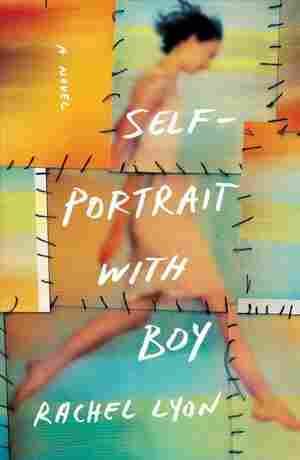 Self-Portrait with Boy NPR coverage of Self-Portrait with Boy by Rachel Lyon. News, author interviews, critics' picks and more. A struggling young photographer who works three jobs to pay for her crumbling warehouse home and care for her aging father accidentally captures on film a boy falling past her window to his death, an unexpectedly evocative image with the potential to launch her career and complicate or heal a community in mourning. A first novel. February 7, 2018  An artist's photograph of a young boy's death leads to a terrible dilemma in Rachel Lyon's new novel. Critic Maureen Corrigan calls the book a "striking debut." I'll tell you how it started. With a simple, tragic accident. The click of a shutter and a grown man's beast-like howl. The silent rush of neighbors down our dark dirty stairs. The lights of a police car illuminating the brick wall behind our building. And a photograph. I never meant for any of it to happen. Or no. Part of me meant for part of it to happen. I was nothing but a kid then. Twenty-six, naive, and ambitious as hell. A skinny friendless woman in thick glasses with a mop of coarse black hair. There were so many people I had not yet become. An article that came out later, I have it somewhere, described me as ruthless. I didn't know until years later what the writer meant. To me it was always about the work. Franke laughs at me because although my studio is in the garage, my art and its equipment insist on spilling out into our living spaces. Our kitchen table is cluttered with photographs. Prints hang to dry in the bathroom. By ruthless he meant single-minded. And sure, I'm single-minded. After all, I have only one mind. Still, I understand now that some artists look out into the world and some look in. I am interested in the limits of, the prison of, the self. I am more hedgehog than fox. I am more turtle than hedgehog. In art school years ago I had a professor, a former opera singer. An enormous man, completely bald, with a rubber face and body. He could make himself into any shape at all. He taught performance. Part of performance was improvisation. I was not what you'd call a natural. I was stiff. I overthought. I did not have a lot of charm. When he told us, every action is a reaction, I puzzled over it for months. But when he said, an accident is just a change of course, I got it. He meant the grace in making art is being alive to chance. When you make a mistake, make it again, he'd say. There are only happy accidents. Isn't that funny. Not funny ha-ha; funny strange. My so-called happy accident happened to be a tragic one. I am not being flippant. Understand: the whole thing changed me deeply. Academics these days have developed an affection for the word trauma. The trauma of everyday life—the trauma of painting. It sounds good maybe but it is like vexed or problematic: overuse has leeched the word of meaning. I will say that now, more than two decades later, there is only one person in this world who is more traumatized by what happened than I am, and I barely know him anymore. I did see him once a couple years ago. It was at an opening for my old friend Casper. I'd driven down to the city in my little green E30. I love that car. I've told Franke more than once I intend to be buried in it. She doesn't think that's funny. I think she wants it for herself. It was a rainy night, warm for December. The slick streets glowed. Almost immediately when I walked in I felt that old familiar chill, or something like it. Some memory of it maybe. I looked to my right and sure enough there he was. The same, but older. Same stocky build, same snarled ponytail—though it was more white now than blond. What was missing in him really was elasticity. Some tautness of the jaw, a certain power in his stance. He caught my eye and the expression that came over him was unbearable to me. In the crowded gallery the past came rushing back. The vile way he treated me. The pain I felt for years. Not because of him exactly, but around him. He was in that pain. And then, somewhere among all those larger, major memories, there was this minor but foul little one: the feeling of being in my twenties at a party and looking out at some horribly attractive crowd. The feeling of them glancing at me with barely registered pity: Oh, that thing in the corner. Isn't that funny. It thinks it's people. I did not leave. I went to the restroom, looked at myself in the mirror, and breathed. The same but older, of course. What did I expect? We are both just a couple of overgrown, badly damaged kids. I had as much of a right to be there as any of Casper's friends—more, in fact, because years ago I recommended him to Fiona, which put him on the map. I looked good too, in my way. Like myself: Lu Rile, five feet even in thick glasses, wild graying hair. A black silk jacket over a black shirt. Jeans and steel-toed boots. My uniform, my armor. I went back out and circulated, avoiding him. The very act of recall is like trying to photograph the sky. The infinite and ever-shifting colors of memory, its rippling light, cannot really be captured. Show someone who has never seen the sky a picture of the sky and you show them a picture of nothing. Still I have to try. The thing you have to understand, the thing you have to keep in mind, is that Kate was my friend. At the time she was my only friend. She was so dear to me.